You will be taken to a new page. Here you will enter all the information on your book. First up is title and the short description. You’ll see that there is a 400 character limit for the short description (not words, characters – aka letters, spaces, punctuation, etc.). This is one of the reasons I say it’s good to have several of different length ready to go. 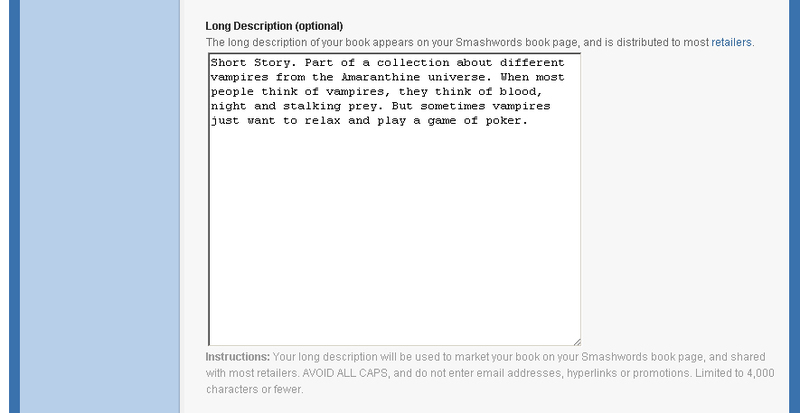 Something to consider for shorter works: though Smashwords has the word count clearly posted on each book’s page, not all their distributors do, so it’s best to put Short Story, Novella, Short Work, etc. at the beginning of the description to avoid angry reviews on Barnes and Noble and other sites. Now comes the “long” description. If it’s the exact same thing as your short description then it’s up to you if you want to bother with it or not. However, if you have a good hook written up that was too long for the short description above then plug it in here. You can also see there are pricing choices. Free is obvious – your work is free for others to download. Is this a good idea? There are blogs by the thousands that tackle that topic, so I’m not going to. 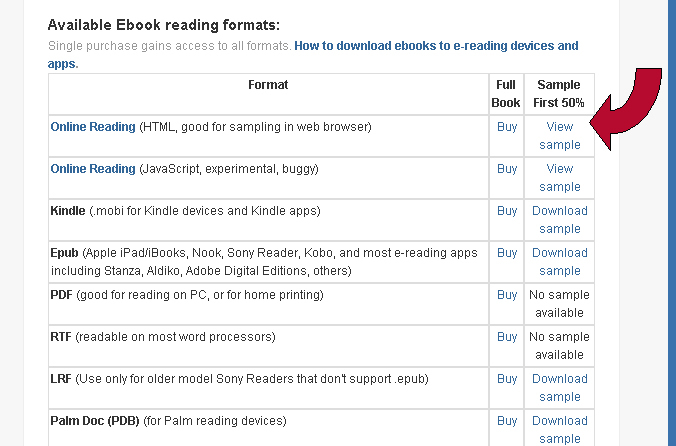 These show you what percentage of the price that everyone is getting from your book. Again, there are articles galore on ebook pricing, so I won’t get into that here. I will say this; there are probably people out there who will pay $10 or more of an ebook (there’s at least one person!) but they are the minority. Once your price is set determine how much sampling you want by changing the numbers. 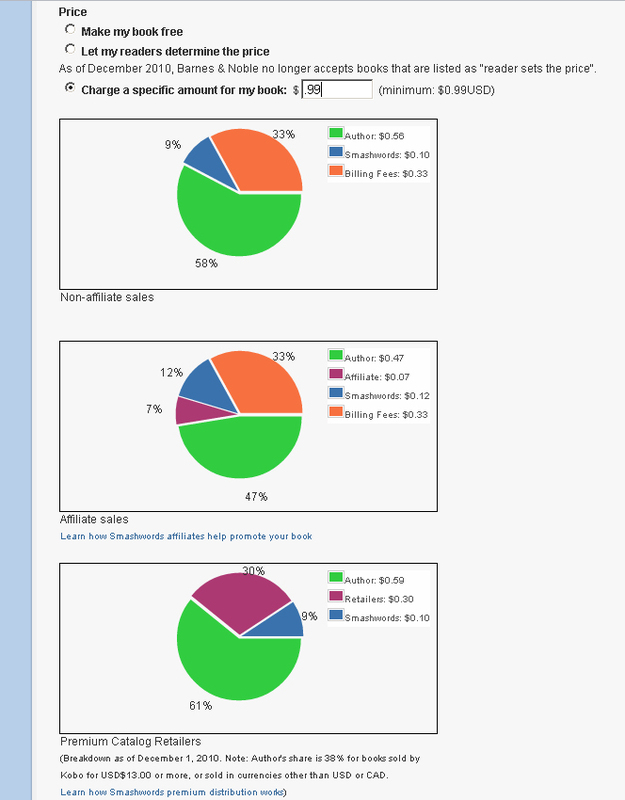 If your ebooks is free (mine is), then this will be grayed out. See where it says 50%? 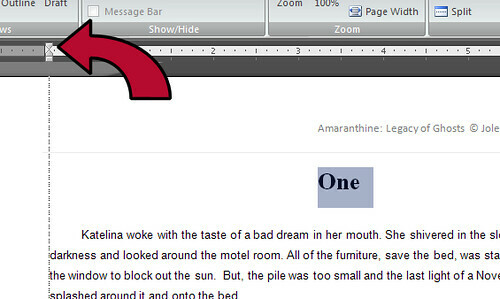 The author has chosen to share a 50% sample, or half the book, for free. It’s up to you how much you want to share, but I do recommend making at least the first chapter available. Now it’s time to choose the categories your book fits in. You’ll initially have one box and, as you choose subcategories, new boxes will appear. Find the best fit for your book. 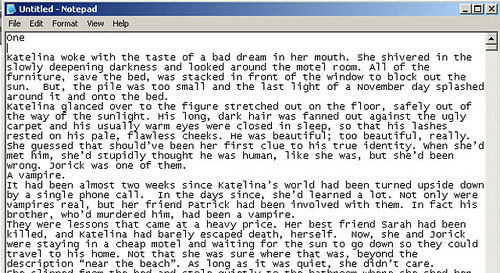 For instance, there is no vampire category (sadly) and though this particular story doesn’t really have any horror in it, the other stories in the series do, so I chose Fiction>Literature>Horror so that it is in the same category as the rest of the series. Use words that you think someone would use if they were searching for your book. As you type them in they will appear above the box. If you decide you don’t like one – or you have a typo – then use the “remove” to take it off. Rule of thumb is the more formats, the more potential readers, however, some books just don’t work well in all types. For instance, plain Text means text only – no images. If your book needs pictures then you should uncheck this option. Now we’re ready to upload the files! 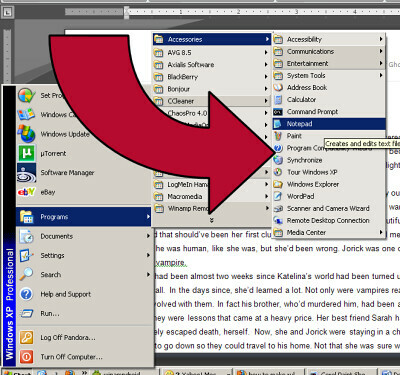 Use the Choose File button to get a pop up box and find your book cover on your computer. As the box says, it must be a .jpg, .gif or .png and needs to be at least 600 pixels tall. I prefer to use high res images, myself, but it’s all a matter of choice. Now upload your pre-formatted document. (For help with formatting see some of our previous posts). 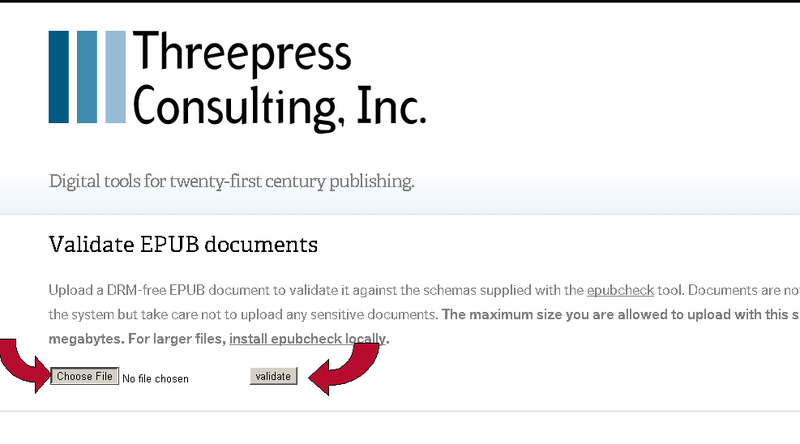 Check over the publishing agreement and hit the happy publish button! Usually my browser window will sporadically pop back up to the middle of the page and stare at me for a few moments. If this happens to you, don’t panic. First, check the bottom left of your browser window and (depending on your browser) you will likely see something that says “Uploading” and has a percentage. This means your files are uploading – it can take a moment. If you don’t see that, then scroll through the page to make sure there are no red errors. 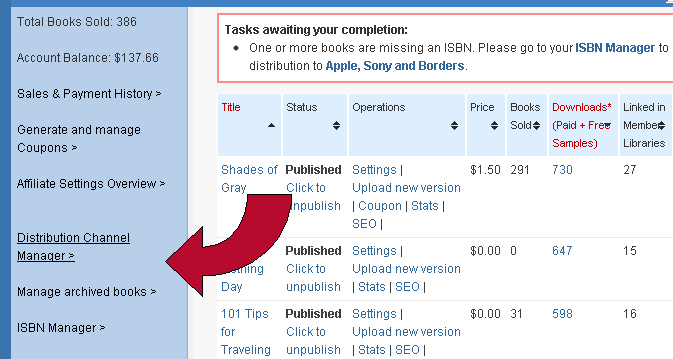 If several minutes pass and still nothing has happened, then check your dashboard in a new tab to see if the book is listed. If not, then hit the publish button again or refresh the page and redo the forms. Your number will be different. As it says, you can leave it opened or close it out. I prefer to leave it opened. 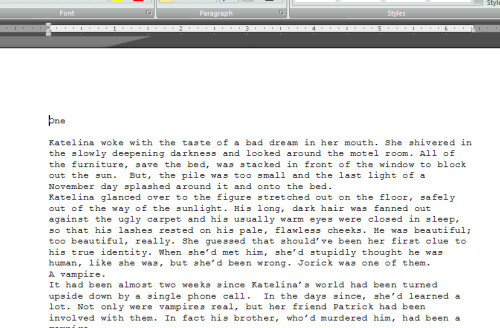 Click on the “View this page’s Smashwords page” link. An aside. I said the page SHOULD change. Sometimes, it doesn’t. Sometimes it will say “complete” next to all the files and just sit and stare at you. If that happens then 1- be sure to check your mail to make sure the conversion has no errors and 2 – go to your dashboard and access the book’s page from there. Check the page over – make sure your synopsis is correct, that the book cover looks right, etc. 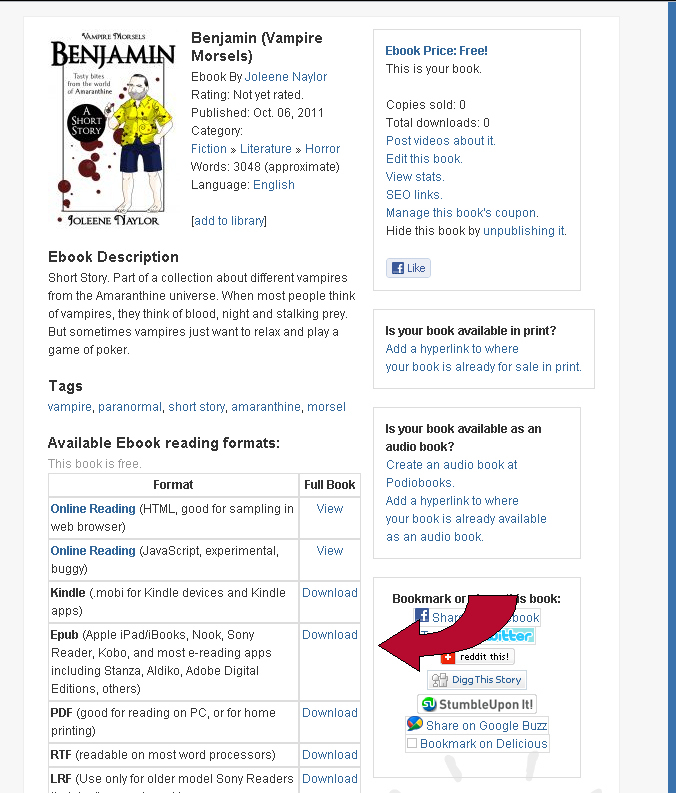 Then scroll down to the table of download options and save the epub version to your computer (I throw mine on the desktop). 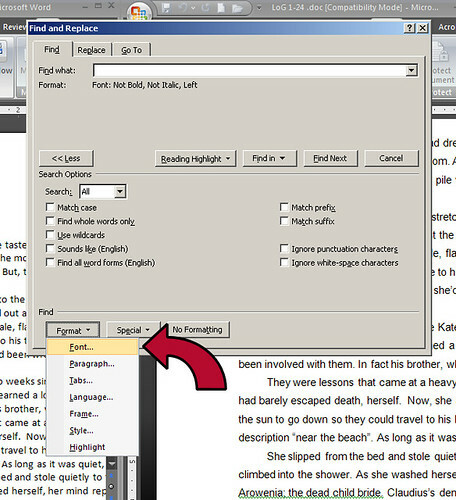 Choose file (make sure it is the epub version you just downloaded and NOT the doc you used for smashwords!) and then hit the validate button. If so, then you’re done. 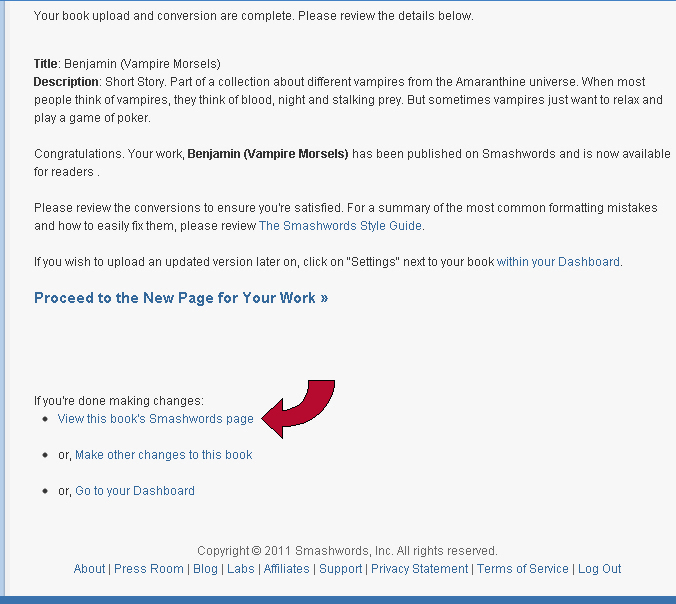 Share your new Smashwords link with the world and revel in your accomplishments! There is a LOOONG article describing the different types of ISBN numbers. Read it and choose the option that is right for you (I use the free ones). You will get a new page detailing your choices (and I assume payment options if necessary). Check to make sure it is what you want and press Confirm. 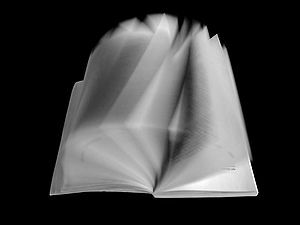 And then – congratulations – a new page will appear that will list your title, ISBN, etc. on it. Save the info to your records (if you do that) and then go back to your dashboard. Scroll down to your book and make sure that it is opted in – and out – of everything that you want. If not, make changes. (As of this posting Smashwords is still not distributing to Amazon, however, I recommend adjusting the settings for this so that when they do you’ll be ready). And that’s it. 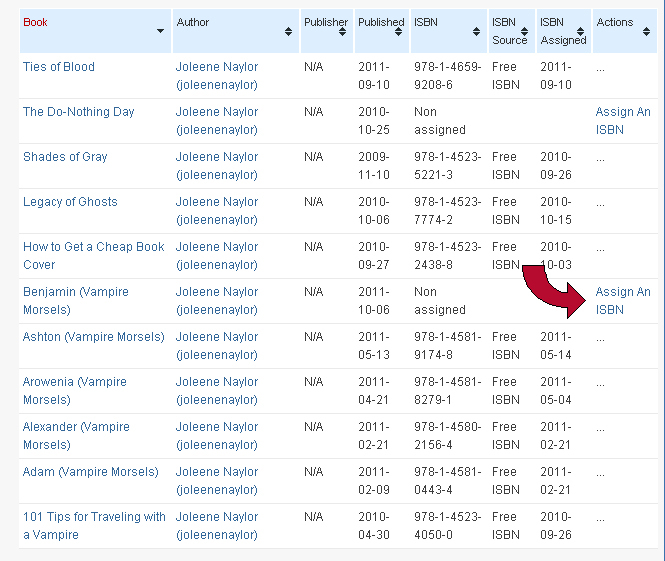 There’s nothing else to do until your book is approved for the Premium Distribution (you can check the status on your dashboard at any time.) It takes a few days, and even after it is approved it takes some time to ship. I uploaded Ties of Blood on September 10th and it has still not shipped a month later, despite being approved, meanwhile, the last story I uploaded shipped within two weeks, so I think it depends on volume at the time of your upload. Either way, be patient and, if it seems to be taking too long, file a ticket through the help at the top of the page. 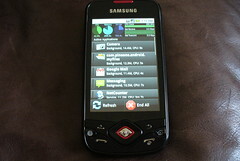 Raise your hands if you have a smart phone loaded with apps. Now raise your hands if you have no idea what I’m talking about. Smart phones, tablets and other devices are taking the world by storm, but I know a lot of people who don’t have one. My mother, for example. 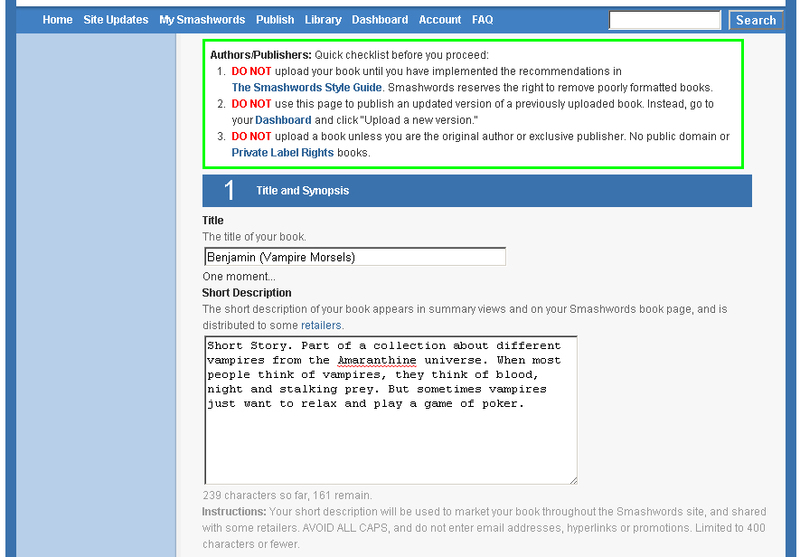 So I thought I’d take a minute and do a quick run down so that you can understand what Smashword’s new distribution agreement means for you as an author or reader. Apps – short for applications – are like programs that run on your smart phone (such as the iphone or Android), on tablets (like the apple ipad) and other devices (I imagine all ereaders will eventually be able to run these, too.) Applications are purchased through the marketplace, a “page” on the device (think like a web page), and they can be anything from wallpaper to ring tones, games, kitchen timers, movie players and yes, even books. 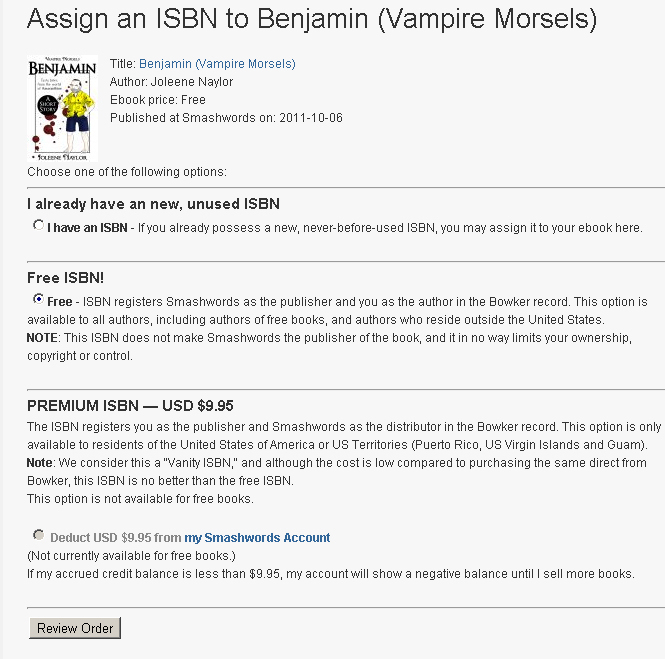 With Smashword’s new agreement with ScrollMotion, the Smashwords Premium catalog will now be available to purchase in the app marketplace – and as an author you don’t need to do anything to opt in. If you’re in the premium catalog already, it will be automatic. Of course, you can always opt out, if you want to. But, with authors getting 60% of the sale price, and with the potential to reach readers who are using Apple, Android, Windows Phone 7 and WebOS, why would you? What’s it like to read a book on a phone? I read Stephannie Beman’s My Lord Hades using the Kindle app on mine, and it was okay. I wasn’t a huge fan (of reading on the phone, not of the book. I LOVED the book), so I bought a Kindle. But, I know people who not only read on their phones (Or on the much bigger ipads) but love it because their phone goes where they go – meaning their library is always with them, too, and they don’t have to buy an expensive, second device such as a nook or kindle. However, books are expected to be delivered to the app marketplaces later this month, and I’m going to have to check it out. From what I understand, unlike the Kindle app, each book will be an individual application, meaning you will download and install each book without having to also install the program to read the book. Is that going to take up more of the precious phone space, or less? I’m not sure yet, but when they become available I intend to find out. You can read more about App ebook distribution on Smashword’s official blog, including all the numbers; how many people have these gadgets, how many are projected to buy these gadgets, etc. 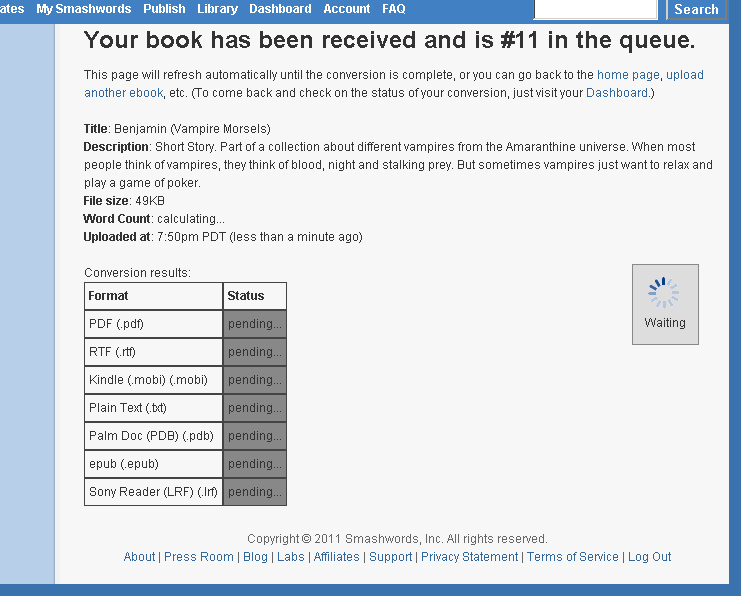 My experience with Smashwords has been quite different from what it seems has been shared in Ruth’s post and subsequent comments. From the beginning, my goal was to qualify for their Premium Catalogue. If your book qualifies, SWs provides a free ISBN. I didn’t much care if the ISBN was free or not in that $9-10 is not a deal killer for me but since the goal was to be in the PC I just decided to see what happened and see if January Moon qualified, which it did. Unlike Ruth, however, I believe in ISBN’s for my purposes so I would have bought an ISBN if necessary (if January Moon wasn’t placed in the Prem Cat). So, anyway, January Moon qualified for the Premium Catalogue, was given an ISBN, and that part is history. However, when I uploaded my book to Smashwords at the very end of September the book was almost immediately visible on SWs site as a new book. I don’t think it took any more than 12 hrs. So, I’m clueless as to why anyone would wait days or weeks to see their book on SWs. That seems odd to me. Has something changed? Perhaps someone needs to write to Mark Coker and ask him. I’m a big fan of SWs because I’ve found Mark Coker to be the singularly most responsive businessperson in the world. Anyway, my dashboard told me that the book’s acceptance into the Premium Catalogue was “pending” approval; however, even as it was pending acceptance into the PC I could clearly see that January Moon was available for sale on the SWs site. I checked back several days in a row and then probably 3 or 4 days later I saw January Moon had been approved & placed in the Premium Catalogue. If I waited even as long as a week I’d be very surprised; I honestly think it happened within days — 5 tops. I opted into ALL of the distribution channels. Almost immediately I saw when the book would be sent to those channels or when it was sent. There was no undue lag time. I made several changes to the ms and watched how they were handled. The distribution chart clearly indicated when each new “version” would be re-sent to B&N, Apple, Sony, etc. It was very efficient and clear cut. I uploaded new versions that weren’t really new documents at all — the exact same ms each time — and I watched what happened each time. Each time I uploaded a new ms I was told it once again had to be approved for the PC but sometimes this “approval” happened within hrs, once or twice a few days but never more. Then I’d see how it changed on the distribution flow chart; I could see the date each version was sent to B&N, Apple, etc. I could see the last time a version was sent. Again, it was very professional and easy to follow. Testing it as I did made me really understand the process and establish confidence in it. After I went to Amazon I wondered if maybe I shouldn’t do the same for B&N (and use their PubIt! program). I had no real reason to do this since SWs was sending January Moon there already but I decided to explore the options. That was an unmitigated nightmare. B&N is one of the most internally confused companies I have dealt with and, trust me, I’ve dealt with many. In brief, PubIt! is not as user-friendly as Amazon and NOWHERE near as easy to use as SWs. If you have a problem — well, fat chance you can even locate the department responsible for handling it. After none of their emailed answers even addressed my question I spent hours on the phone trying to track down a human and when I finally located one — who assured me the problem would be fixed instantly — I learned 10 days later it wasn’t resolved at all and whomever I had spoken to had given me completely incorrect information and getting that bit of info took another 2 maddening hours trying to slug through the byzantine corridors of B&N’s many departments (none of whom wanted to take responsibility for anything and none of whom interact with one another; I actually spoke to someone in marketing who knew nothing about PubIt! She thought it was owned by Amazon!). If things goes well for you and B&N, God bless. If you have a problem, however, be prepared to wallow in Corporate Hell. SWs of course takes a small fee to distribute your book to B&N, Apple, Sony, etc. To me, it’s a small and fair price to pay to have them serve as my advocate, accountant, and distributor. All my records re: B&N, Apple, Sony etc. are now consolidated with SWs and I can tell exactly how many books I’ve sold at each of those retailers in only one glance at my SWs report. I already have Amazon to track for the ebook and CreateSpace for the paperback so what the hell? Do I really need to also track B&N, Apple, Sony etc. if there’s a company like SW’s to do it for me. One more thing about B&N and SWs: I saw that B&N had some significant online advertising about ebooks for $2.99 and less. Mine wasn’t listed. I looked more closely and saw that no INDIE books were listed. I was pissed. I emailed Mark Coker. He was already talking to them about this and it seems they are now working out some concessions where B&N claims they will highlight indies in the future in some special ad campaign. If you’re being distributed to B&N via SWs or are their yourself having used their PubIt! program you might want to pay close attention to this and work with me to keep the pressure up. Amazon is the 900# gorilla in the business and I don’t know what control we as individuals have over them. Perhaps we need to form a collective of independent authors; dunno. It might be a good thing to look into w/the AiA. Ruth Ann Nordin recently did a four part series called Publishing 101. In post four she touched on formatting and I thought, since I’ve done formatting for both myself and other authors, I would take a moment to explain some of it. I’ll start by saying that I know very little about PDF formatting; I do all of my work in Word and then make the document into a PDF as is. So, if you’re looking for PDF tips, I am not your girl. 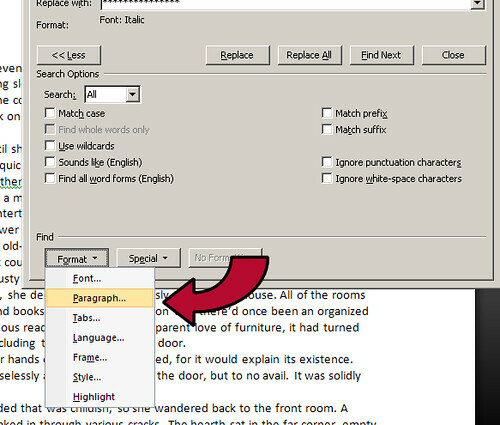 Except that on shades of Gray the margin was too big, so I saved it as a 6 x 9.25 page size in word, and then cropped it to 6×9 in the PDF program. End my PDF tips. 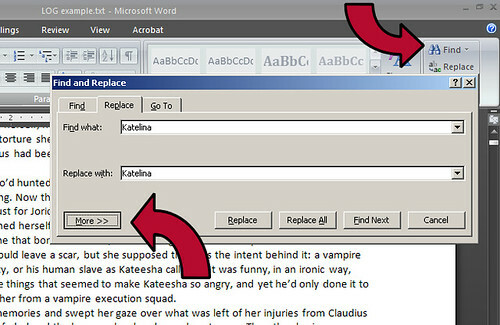 If your manuscript has little or no italics or bold, then a really easy way to remove all the unwanted formatting (such as stray tabs, odd tables, page breaks, etc) is to copy the document and paste it into Notepad. 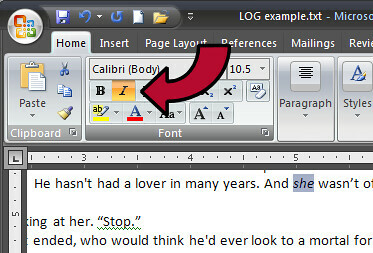 Yes, I said Notepad, that archaic little document program. If you’re unfamiliar with it, you will probably find it under Programs>Accessories>Notepad. 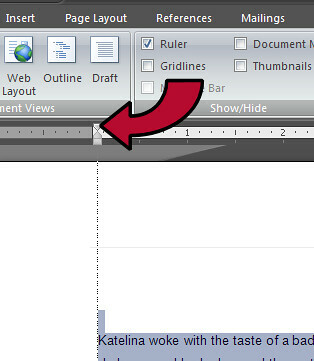 Use the shortcut keys Ctrl+A to select all of the original document, then just copy and paste. Yes, that removed ALL formatting. 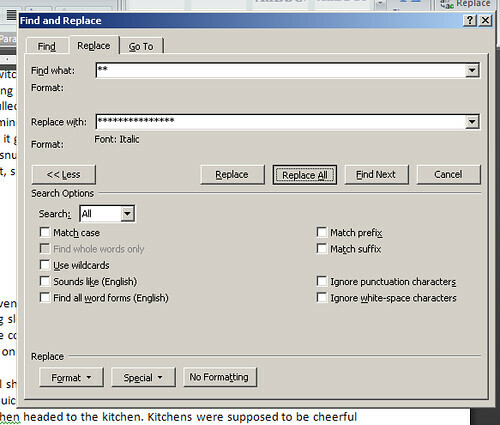 Now save it as a .txt file (Notepad’s default) and then open in word. 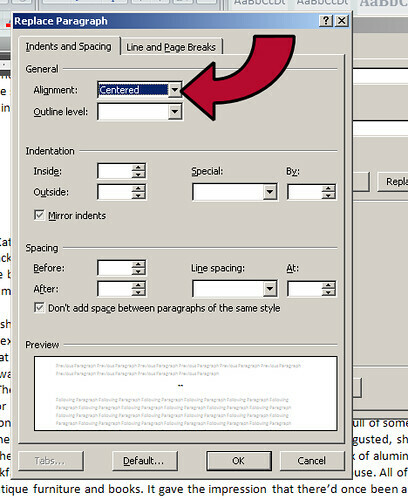 Your new document will have no formatting at all – no centering, no tabs, no bold, and no italics. The first thing I do after that is set the tabs. East definitions: Tabs are something you put in manually by hitting the tab key, and an indent is something the program puts in. AKA Indent = good. Tabs = Bad. On the left side of the ruler you’ll see two little arrow like things. The BOTTOM one determines your left margin and the TOP one sets your indent, which is what we want. 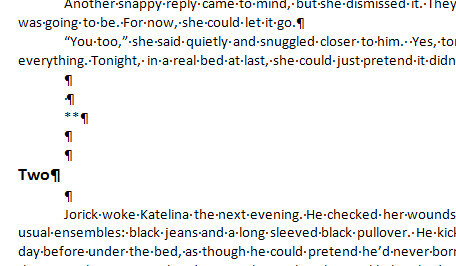 Again, make sure to highlight any text that you want to adjust, or else nothing will happen. You will see that I copied more than just the words that needed italicized so that I could insure that I found the correct instance of those words. Also, I out *’s around the portion that is meant to be italicized. You don’t have to use notepad, of course. You can use word, or you can write it in a notebook or even on the back of an envelope. This also works for bold, and any other kind of formatting. 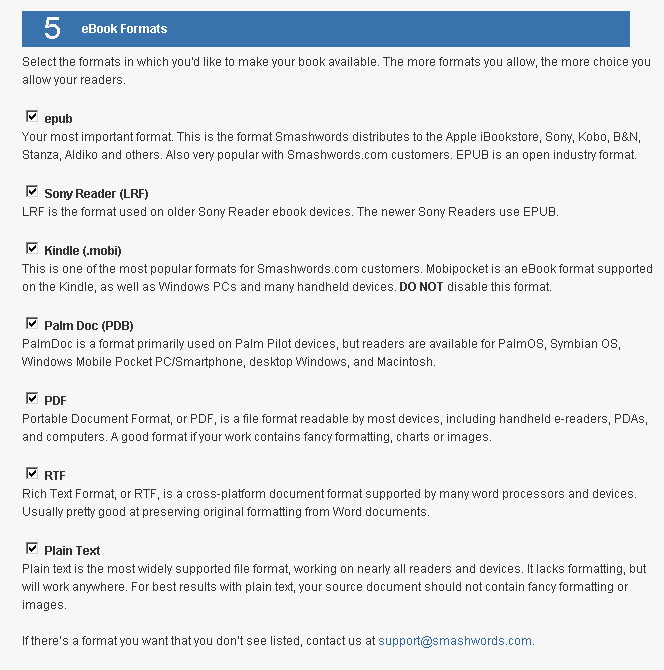 If you have a lot of formatting, then you may find this method tedious, but for a document that has a lot of weirdness going on, it can still be a time saver. 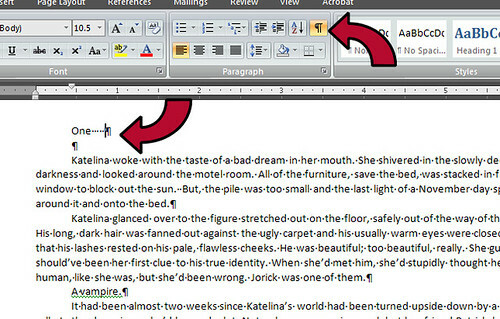 If, for instance, you use the title Jumping beans do America by Jillian Bilford several times in your document, but might not have italicized it every time, there’s an easy way to do this. 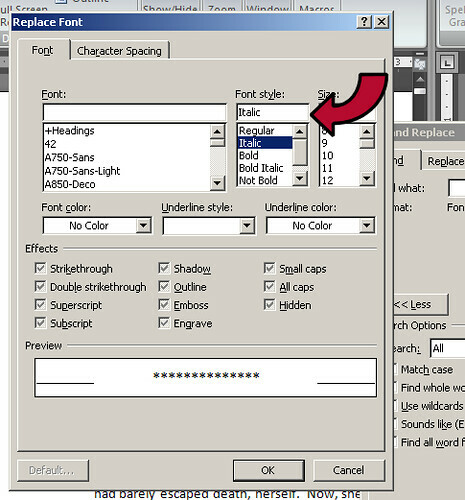 As in the above example, go down to the format button and choose font, then italics. Hit okay, and then you can either use “replace” to see each instance before it’s replaced, or, if you feel lucky, “Replace all”. 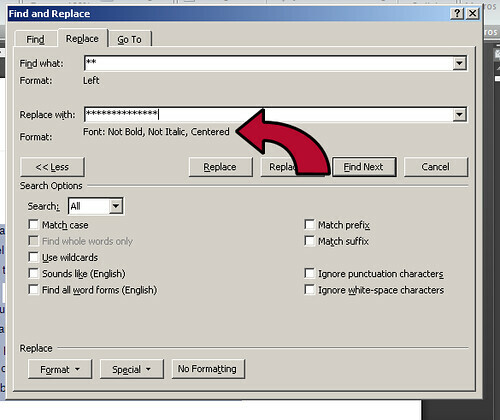 Make sure that the new formatting is under the Replace With box, or it won’t work!! If there are, of course, just backspace them out. 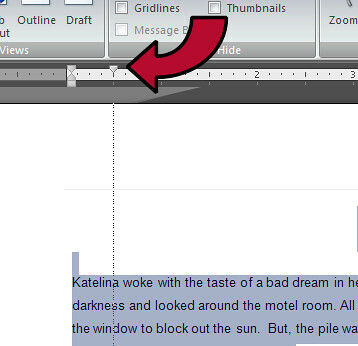 As you can see by the row of dots after “One”, I have a bunch of extra spaces there. 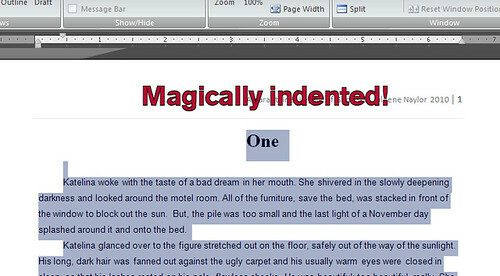 Smashwords can reject books for too many of those, so delete the bad boys. 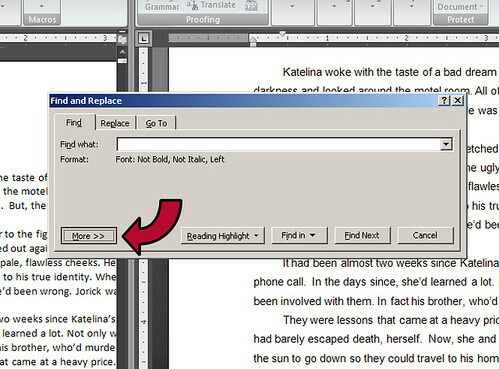 This will also show you where your page breaks are, so you can see if you’re using too many, and make sure that you’ve used the same number between your chapters. And, if you find that you have a lot of extra spaces – maybe you have several instances of five or more – the use the find/replace box. Type in the number of spaces in the Find what box and then leave the replace with box empty. Yes, this will look like a blank search, but it works. And that’s about all that I can think of. Do you know of a better way to do this? If so, please share it in the comment below. Conversely, do you have any questions about these steps, or about something I didn’t feature here? If so, please put it in the comments too, and I will do my best to answer it.